There are generic terms being used to describe the care and use of barefooted horses in all disciplines known as “natural hoofcare” or “barefoot hoofcare.” They are not only a horse hoof trimming method/barefoot trimming method designed specifically for barefoot horses, but include a daily care system that allow a horse to remain barefoot throughout its entire working life. The same system can be used to rehabilitate horses from lameness eliminating horse hoof problems. 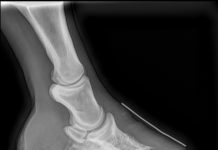 From a blending of Jaime Jackson, pioneer of barefoot hoofcare in America basing his studies of the wild horse hoof, and German Veterinarian, Dr. Hildred Strasser, who researched causes and cures of lameness and developed the first holistic hoofcare clinic, came very different approaches that have created the barefoot hoofcare movement as we know it today. 1. 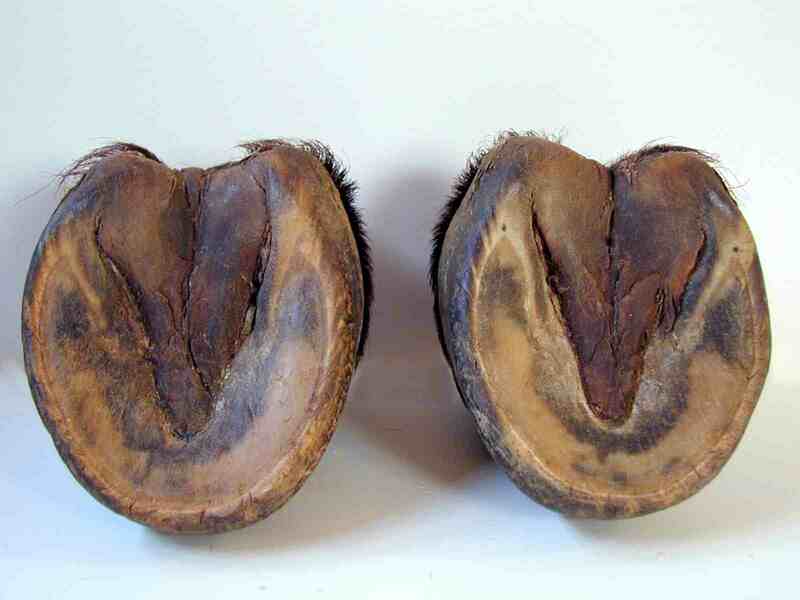 Heels are kept low with bulbs nearly on the ground, hairline is straight, quarters are arched, bars are straight and tapered, hooves are wide and round in shape and the entire hoof expands slightly upon weight-bearing, also called hoof mechanism. 2. 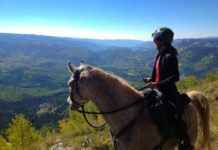 Horses with founder, navicular, ringbone and other chronic illnesses and lamenesses are finding improved health and genuine return to soundness with natural hoof care. With this new approach, it now extends to the complete lifestyle of the horse. The barefoot hooves become strong, healthy and fully functioning and the entire immune system of the horse is strengthened naturally. Diet plays a major role in rehabilitation so natural horse products should be used. This is all part of natural horse care. 3. Horses that were previously unable to perform barefooted using traditional trimming/shoeing methods are now able to fully function. When in need of protection on rough terrain or during rehabilitation, flexible, removable protective horse boots that compliment hoof form and function are appropriate, such as the Easyboot Glove or Glue on Boots using hoof glue. Hoof pads can be used inside some boots for added comfort. 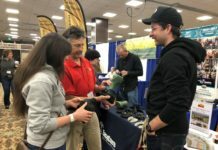 In high performance applications such as endurance racing, rocky trail riding, competitive driving, jumping, roping, barrel racing, dressage, polo and more, EasyCare offers a boot for every horse and every discipline.